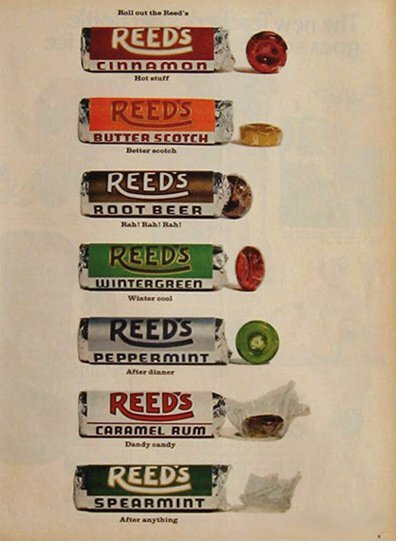 Reed's candy rolls were first produced in 1800s by William and Eugene Reed of Chicago. The first flavor was butterscotch with other flavors added along the way. The brand was sold several times of the years with the last company, Wrigley, discontinuing them in the late 2000s. The brand has been revived in 2015 by the Iconic Candy Company.